Abstract. The paper investigates specificity of the impact of non-economic factors on the socio-economic development of society on the bases of the fact that any socio-historical reality develops as a result of the interaction of economic and non-economic factors. The article shows that the global economic crisis of 2008-2009, the consequences of which have got new development due to the sharp fluctuations in the oil and financial markets in 2014, demonstrated the importance of non-economic factors in the system of anti-crisis measures and ability to hold economic stability and restore economic growth. We study the impact on the so-cio-economic development of the following non-economic factors: physical and geographical; innovational and technological; psychological; institutional, politi-cal and others. The conclusions are illustrated by the results of the research con-ducted in October – November 2014, in which the complex mechanism of inte-raction of economic and non-economic factors becomes empirically visible, and proven not to be characterized only by straight links and impacts of the economic factors on the non-economic ones. Key words: society, economy, socio-economic development, non-economic factors. Abstract. The article is devoted to actual problems of constitutional mod-ernization of political institutions of the Russian statehood. The article notes that ГУМАНИТАРИЙ ЮГА РОССИИ 214 the modernization of the state involves the gradual development of mechanisms for the implementation of political power in the unity of the state and municipal forms of its realization, ensuring and protecting the rights and freedoms of man and citizen, and embodying the highest value of the entire system state. The ar-ticle deals with the constitutional order of Russia as a state-legal expression of civil society; the specificity of the modernization of political institutions of gov-ernment is analyzed as the search for a balance of centralization and decentraliza-tion. The author analyzes the problem of movement from the "state management" to the self-governing democratic institutions and the specific development of the participation of citizens in managing the affairs of the state. The conclusion is that the modernization of the political institutions of the Russian state naturally is associated with the development and improvement of the forms of realization by citizens of their constitutional right to participate in managing state affairs. 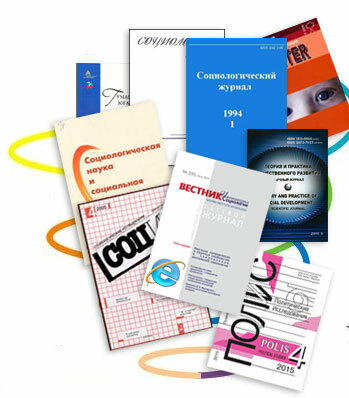 Keywords: constitutionalism, modernization, political institutions, law, state, Russia. Abstract. In Russia, a political nation and the national identity of the state has been formed, which, however, is experiencing strong competition from eth-no-national identity. This requires searching for a new national identity as a basis for the consolidation of Russian society. Such national identity in Russia could become a civilizational identity. In the understanding of civilizational identity, the scientific discourse is dominated by constructivist and essentialist approaches that are one-sided and therefore insufficient heuristically. In the paper in the frames of constructive realism the possibility of formation in Russia as a civiliza-tion-state national and civilizational identity, which is a result of the impact of information and cultural actualization, is considered. Keywords: local civilization, collective identity, nation, national identity, national and civilizational identity. Abstract. The paper analyzes the empirical data of a sociological survey conducted in April-June 2014 among residents of the city of Rostov-on-Don as potential patients. The aim of the article is to define and describe the social de-terminants of health, and the specific characteristics of the medical activity in the urban environment. The article shows that at present there are significant eco-nomic and institutional barriers to access to health care in the city of Rostov-on-Don. The author concludes that paid medical care, too long waiting time for med-ical care and lack of awareness of the health care system provoke negative forms of medical activity of citizens. Abstract. The article investigates the regional characteristics of family re-lations in modern Russia, which is most evident in the transformation of family roles. The authors justify of the need for state regulation of the sphere of the fam-ily in the context of the selection of a strategy of development of the family insti-tution in Russia and in a particular region. Keywords: family, state family policy, the transformation of the family in-stitution, the traditional family, the egalitarian family. Abstract. This article is based on ethno-sociological research on the topic: "Public opinion on the role of the media in the republics of the North Caucasus Federal District of the Russian Federation" conducted in January-February 2012, the North Ossetian Centre for Social Research ISPR RAS together with the de-partment of sociology and social processes of the North-Ossetia State University named after K.L. Khetagurova. Keywords: society, media, professional training, physiological needs, tra-ditions, public opinion, national and cultural peculiarities, internet, social and po-litical situation, bias, partiality, worldly information, audience, credibility, dis-torted picture of events, the aristocracy, modular man. Abstract. The article deals with social security, as an integral part of na-tional security. Building and effective functioning of the system of social security as a condition of protection of the individual, community from the threat of viola-tion of their vital interests, rights and freedoms are directly dependent on social policy. Providing social security is one of the key objectives of national social policies. Keywords: safety, social security, municipal, urban community. Abstract. Globalization threats to the identity of peoples require the scien-tific community’s scrutiny of their spirit in order to maintain the significant, which is their ethnic and national identity. However, modern ethnography and the humanities in general can not cope with the task of in-depth understanding of the cultures of many ethnic groups of Dagestan and other ethnos of the Russian South. Scientific thought is often limited to empirical protrusion of their unique-ness and exotic nature. The universal nature of the culture of these peoples, spe-cial of the humanity as a common of Russian people stays In the shadows. The article also deals with the special of Dagestan people as the common of indigen-ous ethnic groups. Thus, their identity is represented as a single and unique, plus a well-defined hierarchy of special, general and universal. Keywords: ethnicity, nation, spirit, culture, individual, unique, special, general, universal, hierarchy, religion, Sufism, Eurasianism. Abstract. It is shown that cognitive science is studying the problem, which is widely represented in the history of philosophy from the time of scholasticism. The fundamental difference between the two strategies aimed at enhancing the ability of thinking is considered: one of them is realized by modern cognitive scientists trying to create some algorithms of "noosphere organization" of human intelligence, the other has been being developed by Russian religious philosophy and was aimed at restoring "the integrity of the spirit", that was destroyed by the idea of the dual truth. Keywords: cognitive science, cognitive revolution, noospheric thinking, "flexible" rationality, "Roman Protestantism," the rationalization of faith, Russian religious philosophy, "the integrity of the spirit", modern and modernization. Abstract. The article seeks to demonstrate the role of mythological and contemporary characters in the forming of the basis of ethno-national and world culture. The author shows the role of mythological heroes of antiquity in the con-ceptualization through their image and activities, consolidation of the universal values. Particular attention is given to Prometheus and Caucasian mythology. Showing different combinations of characters in the beginning of the creative and destructive, that determines their typology. Keywords: antiquity, Prometheus epic, daily mythological heroes, titans, Caucasus. Abstract. The article is devoted to the identifying of the nature and fun-damental constructs of radical Islam ideologies. The author reveals the content and the evolution of ideological doctrines of religious and political extremists and terrorists hiding behind Islam. Keywords: ideology, Islamism, radicalism, extremism and terrorism. Abstract. The article deals with the problems of national television in the sphere of the production of meanings. The necessity of the turn to the sense in the media for the establishing of the humanistic values of the Russian society is shown. Keywords: social values and meanings, television communication, virtual, social reality. Abstract. The state of Russian economy is regarded by most experts as overwhelmingly alarming. It is not just about the declining growth rates, low in-vestment activity, poor susceptibility of the economy to innovations of single-product, in fact, the structure of the Russian economy. Alarming is the basis of economic policy of the country. Socio-economic experiments of the past 25 years were carried out under the influence of a particular economic ideology, the dis-semination of which provoked the emergence and prolongation of the above-mentioned negative phenomena in the economy. This ideology is teleological in nature and to the present time has been covering almost the whole of the public consciousness. It is an ideology of hyper-commercialization economy. And the current state of economic theory, fragmented, static, with the decreasing predic-tive power is generally recognized as unsatisfactory. This study, performed by a grant from the Russian Science Foundation, project № 14-18-02294, explores the process of commercialization of the Russian economy in recent decades and its theoretical basis, showing the negative effects of the project and offers of hyper-commercialization and offers the de-commercialization project (more precisely, the return of the economy to a normal level of commercialization) based on the expansion of the "cultural dimension" of the results and the factors of economic activities at all levels of governance. The implementation of this project would help not only the improvement and effi-ciency of the economy in the long term, but also to solve the problem the of the overcoming the crisis in economy and society of Russia. Keywords: economic theory, cultural studies, economics de-commercialization, system economics, economic systems, sustainable economic development, the value of economic goods, non-monetary assessment of the economy. Abstract. The article discusses the national economy that has been developed under the influence of a number of institutional factors, as well as the globalization process, covering all spheres of public life. The author analyzes the posi-tive and negative aspects of globalization processes taking into account the mental and civilizational features of Russia. The paper stresses the need of the nation-al economic development model to comply with the traditional institutional forms, that has been being worked out for a long time. Keywords: economic transformation, globalization, informal socio-economic institutions, traditions, civilization, modernization, mentality. SKINNER B.F. (American psychologist, inventor and writer, Harvard Uni-versity, USA). Abstract. Roundtable was organized by the journal "Humanities of the South of Russia" in connection with the release of two fundamental monographs "Kaukaz Północny: elity, reżimy, etnopolityka, bezpieczeństwo" / red. nauk. T. Bodio. Warszawa: Instytut Nauk Politycznych Uniwersytetu Warszawskiego, 2014. 365 p. and "Kaukaz Północny: elity władzy i życie Polityczne" / Red. nauk. T. Bodio. Warszawa: Instytut Nauk Politycznych Uniwersytetu Warszawskiego, 2014. 431 p. on the results of the implementation of the Polish-Russian project. It became a notable event in the Caucasian studies and studies of elites. The big role in its implementation belongs to the Institute of Political Science at Warsaw Uni-versity and the Institute of Sociology and Regional studies of Southern Federal University. Publication of monographs was held on the eve of 100 anniversary of the SFU. Some of the participants of the round table, that took part in correspon-dence discussion on the elites of Caucasus and prospects for cooperation between universities in Poland and the South of Russia: Professor Tadeusz Bodio (project manager), Andrzej Versbitsky, Jacek Zalesny (Institute of Political Science, Uni-versity of Warsaw), Andrzej Jan Hodubsky, Przemyslaw Seradzan (Institute of Political Science, University Mr. Gdansk), Associate Professor E.J. Bazhenov, Professors A.V. Lubsky and V.V. Chernous (Institute of Sociology and Regional studies SFU), Professor A.M. Starostin (South-Russian Institute of Management), Professor WH Akayev (Comprehensive Research Institute, Grozny). Results of the round table show a significant, but still not enough full use of the constructive potential of modern Polish-Russian cooperation in the study of problems of the Caucasus and southern Russia. Key words: political elites, leadership, modernization, the North Caucasus, the Polish School of Caucasian studies, Rostov School of the studies of elite, Warsaw University, Southern Federal University, scientific cooperation projects.